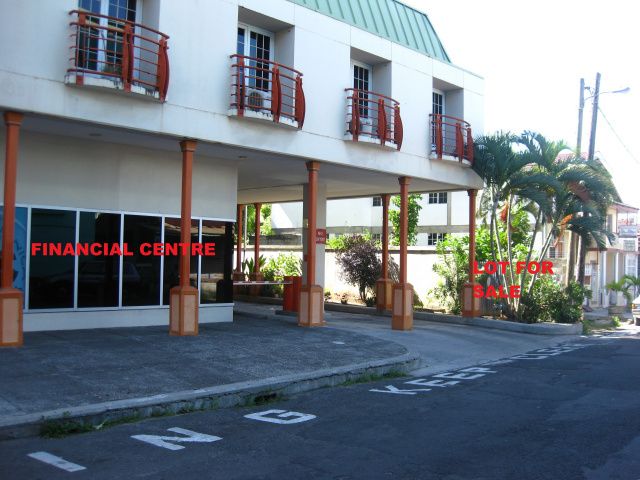 Dominica Real Estate, commercial property for sale in Dominica. 2.62 acre BEACHFRONT lot for sale in Castle Bruce. This PRIME lot borders both a river and the sea, so you get to enjoy BOTH WORLDS. CLICK ON PHOTO ON LEFT OR LINK ABOVE FOR MORE DETAILS. Very private and secluded beachfront lot in Grand Savanne on the West Coast of Dominica. 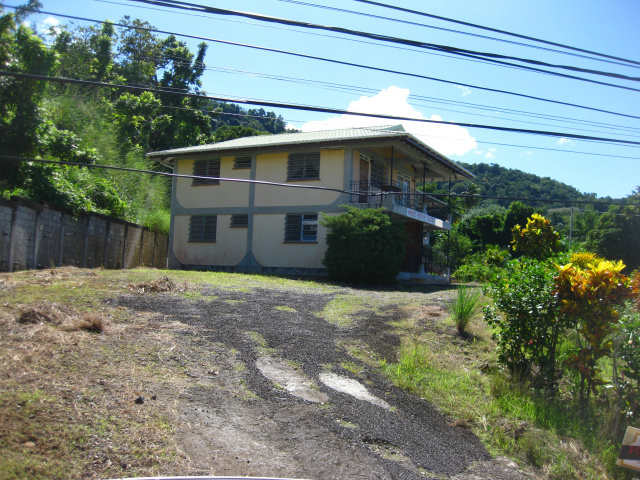 Dominica Commercial property: PHOTOS COMING SOON! 2.63 acre elevated beachfront lot on the West Coast. This lot would be ideal for a hotel or villa development. 2 apartment buildings housing a total of six 1 bedroom and one 2 bedroom apartments. These apartments sit on a spacious 1 acre lot within walking distance of Ross University in Picard, Dominica. 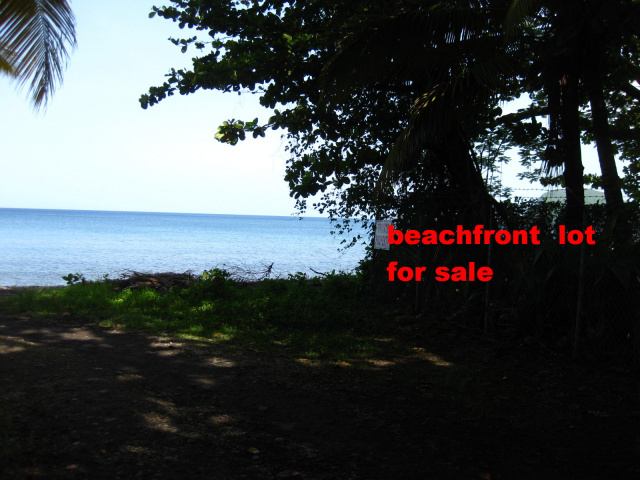 Picard: beachfront lot "BACK ON THE MARKET"
5.5 acre beachfront lot for sale in Picard,Portsmouth, Dominica. This prime lot also borders a river and is ripe for tourism development. Planning permission has already been granted for both a marina and resort at this location. 2,484 sq ft beachfront lot for sale in Lagoon, Portsmouth. This lot is 500 feet from the Purple Turtle Beach Club. Newly remodeled 2 storey building on Old Street, just 2 doors away from Fine Foods Wholesale. Building is ready for moving in. BIG REDUCTION TO XCD695,000.00 OR US$258,538.00 EFFECTIVE 6TH SEPTEMBER, 2018. PRICE HAS NOW HIT ROCK BOTTOM: ONLY XCD599,500.00 OR US$223,012.00 (FINAL). Prime 1,458 sq ft lot for sale which bounds with the Financial Centre in Roseau. 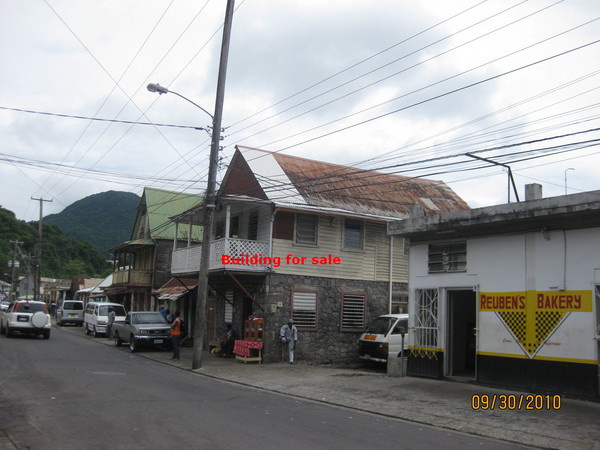 Roseau: 3 storey commercial building on Cork St.
3 storey building for sale on Cork Street in Roseau, Dominica. This 3 storey building is in good condition and directly across the street from Perky's Pizza. It is in close proximity to the cruiseship berth and all major businesses in the capital city, Roseau. Two floors are currently tenanted and negotiations are underway with a client for renting of the remaining floor. The building currently houses a doctor's office and a financial services firm. This commercial property in the well travelled section of Hillsborough Street gets HIGH marks for both road frontage and location. 3 buildings currently sit on this 2,816 sq ft lot, but there is still ample space in the back yard for further expansion. REDUCED TO XCD1.17M OR US$435,235.47. 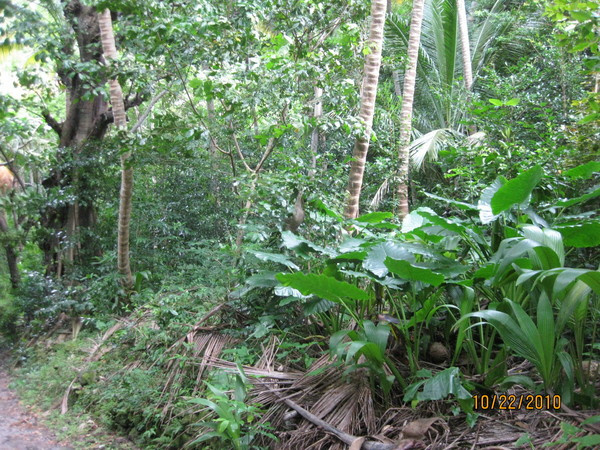 Dominica Commercial Property: 24 acres of land at Bois Cotlette in Soufriere. This lot is of great historical significance. Commercial/residential building in the vicinity of LIME, Roseau, Dominica. Property is currently tenanted. You therefore have the opportunity to earn income while you prepare to build a modern structure. 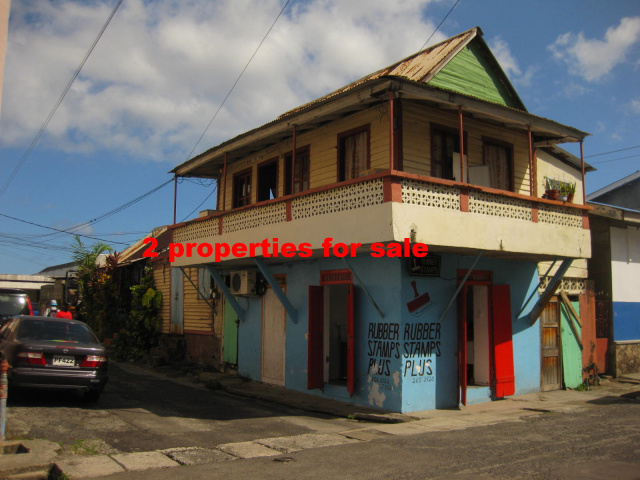 Roseau:King George V St. property "SORRY, SOLD"
2 storey building with detached storeroom for sale on the main shopping street in Roseau, King George V Street. You now have the chance to own property on Roseau's Signature Street. DON'T MISS OUT. MAIN BUILDING SEVERELY DAMAGED BY HURRICANE MARIA. 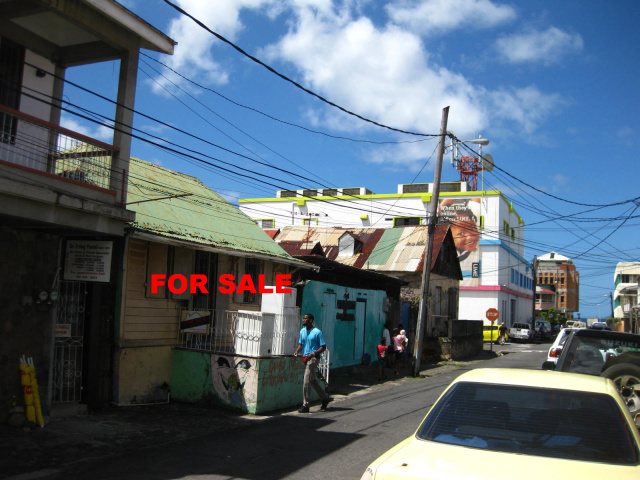 3 storey building in very good condition for sale on Kennedy Avenue in Roseau. This building sits on a 1,666 sq ft corner lot in close proximity to the Prevo Cinemall. The property boasts wide road frontage on 2 streets. In the vicinity of this building is Marpin TV, FCIB, Whitchurch Supermarket, Courts, LIME, etc. Additionally, from this location, you are just a few minutes away from the Cruise Ship berth, Ferry terminnal, Financial Centre, banks, Registry, etc. Kennedy Avenue is a well travelled road and therefore perfect for commercial business. Roseau:reasonably priced property "SORRY, SOLD"
Small 2 storey building on a spacious lot measuring 1,212 sq ft in the centre of Roseau. This property on King's Lane bounds with both the popular Guiyave restaurant and FirstCaribbean International Bank (FCIB). Roseau: 2 adjacent properties "SORRY, SOLD"
Two adjacent properties on lots totalling approximately 800 sq ft for sale in Roseau at the doorstep of the Ferry Terminal and just a few blocks away from the Cruiseship berth. Both floors of the two storey concrete building are currently tenanted. Restoration of the two storey building and demolition of the wooden vacant building are highly recommended. This is your chance to own a piece of Roseau at a reasonable price. Roseau: 4,776 sq ft lot "SORRY, SOLD"
4,776 sq ft lot with recently constructed basement for sale in the centre of Roseau, just a stone's throw away from the cruise ship berth. This property provides the perfect location for any commercial enterprise, particularly one geared towards tourist. The choice property has access both on Hanover Street and Old Street. Picard: comm./res. property "SORRY, SOLD"
4 bedroom 2 bath fully furnished single-family home plus small detached building for sale at the mouth of Ross University. Given its close proximity to the main entrance of the University, this property is perfect for both commercial and residential purposes. 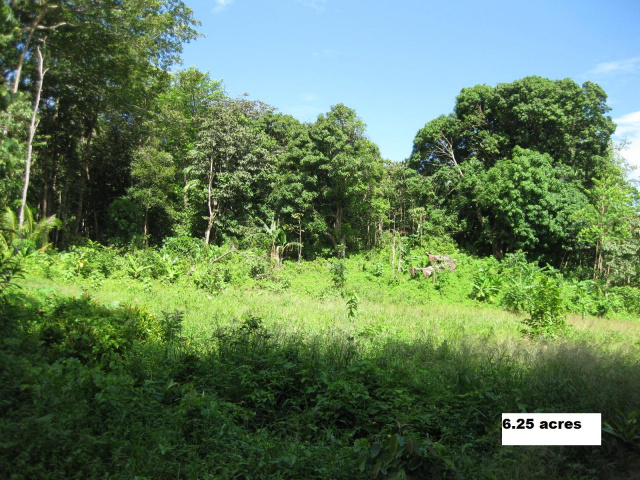 Layou: 6.25 acre lot bounding river "SORRY, SOLD"
Dominica Commercial property: 6,.25 acre elevated lot for sale in Layou, Dominica. This lot borders the popular Layou River, but at a 250ft elevation and is directly across the river from the Layou River hotel. NO flooding is possible on this lot, given the section of Layou where it is located and also given its high elevation. 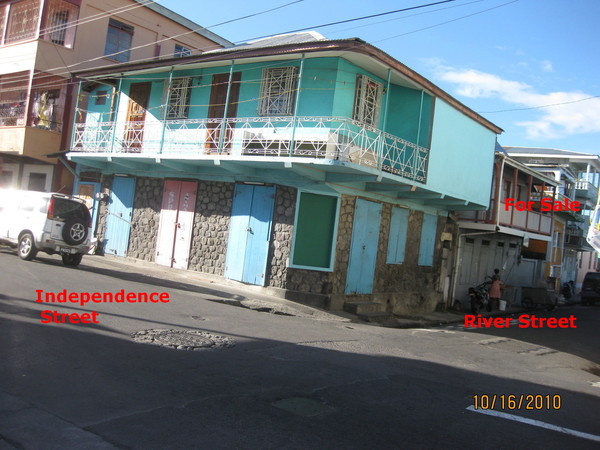 Roseau: Commercial Property on River Street "SOLD"
Dominica Commercial property: 2 storey residential/commercial building on River Street with wide road frontage (a definite plus). The property offers room for expansion. 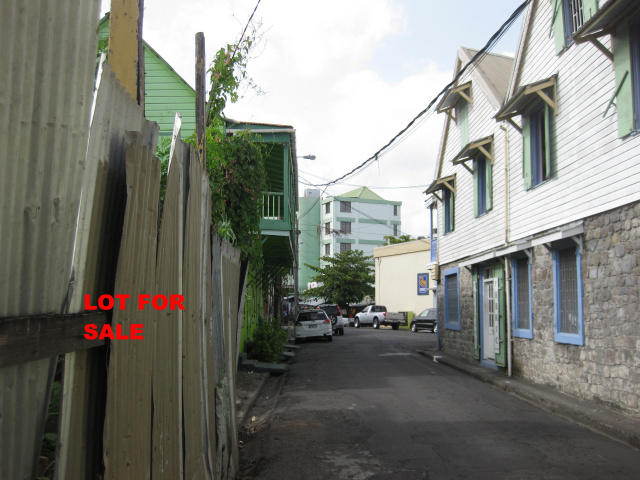 THIS PROPERTY IN ROSEAU IS A STEAL "SORRY, SOLD"
This 3 storey (including basement) building in excellent condition on Independence Street is back on the market, but at a DRASTICALLY reduced price - BELOW market value. Commercial Property on Victoria St: "SORRY, SOLD"
Dominica Commercial property: 2 storey commercial building for sale on Victoria Street in Newtown. This property is being sold with an adjacent oceanfront lot. 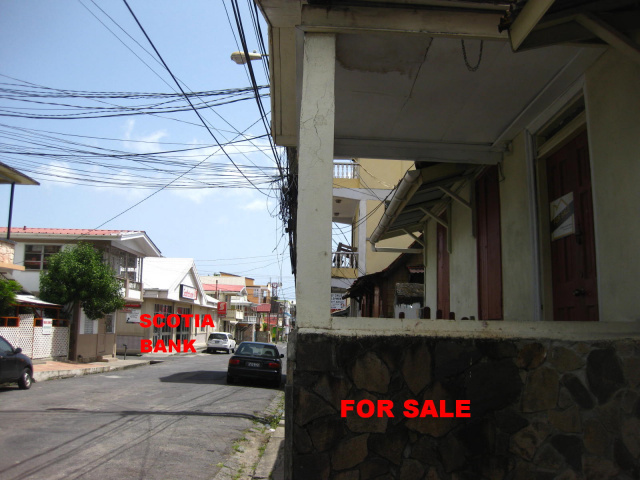 EXCEPTIONAL lot for sale in Roseau - "SORRY, SOLD"
Commercial builiding in Roseau: "SORRY, SOLD"
Dominica Commercial Property: 2 storey building for sale, a few doors away from the Financial Centre on Kennedy Avenue in Roseau.